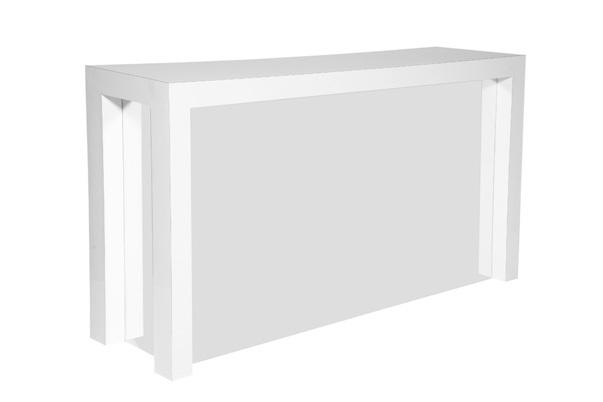 The Parson Bar is a stunning bar consisting of a white high gloss lacquered finish with a mirrored panel insert on the front and sides. The Parson Bar can be customized for your event by adding a colored panel or adding your company logo. The Parson Bar is also one of the stylish components of our Parson Bar Grouping.